Pre-curved, form-fitting gloves joins the Arc Armor apparel lineup. Miller Electric Mfg. 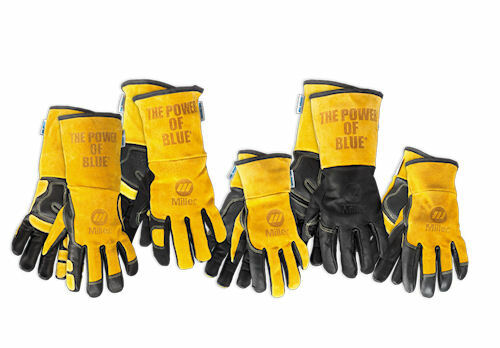 Co, is adding a new line of welding gloves to its Arc Armor Welding Protection portfolio. The gloves feature a pre-curved, form-fitting design that conforms to the natural shape of the hand to boost fit and dexterity. Miller says the more comfortable and easier to use the glove, the greater likelihood the wearer will keep the gloves on during fit up and welding—adding to a safer fabrication experience. All styles are constructed with Kevlar thread for maximum seam strength and durability. New Arc Armor gloves from Miller offer improved dexterity, comfort, protection and style. For more information visit www.MillerWelds.com.